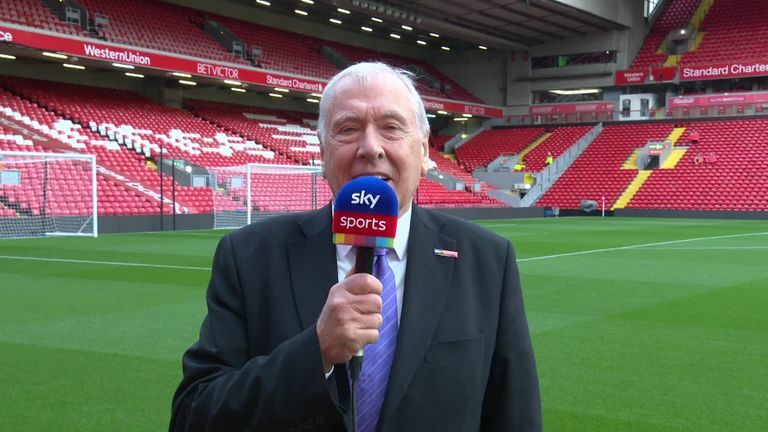 Martin Tyler's stats: Are Manchester United the comeback kings? Martin's Starting Stats - Divock's Derby! On Sunday, I was at the 100th league meeting at Anfield in the Merseyside derby and Liverpool's 44th win. They have drawn three and Everton have won 23. Liverpool are now unbeaten in the last 21 derbies at Anfield, all in the 21st Century. The win gave Liverpool their second best start to a top-division season ever, only behind the 38 points from 14 games in 1990/91. 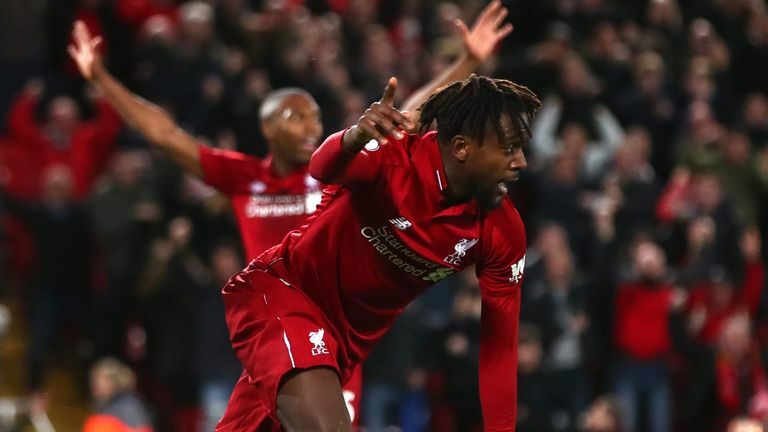 Divock Origi scored a goal on his first appearance in the Premier League since the opening day of last season when he was a substitute in a 3-3 draw with Watford. It was his first Premier League goal since May 2017 in a 4-0 win at West Ham and his third in four Merseyside derbies and he has now played in three Merseyside derbies at Anfield, scoring in all three, a 4-0 win in April 2016, a 3-1 win in April 2017 and again on Saturday. Richarlison made his Premier League debut in Origi's previous Premier League appearance. The Everton forward reached 50 Premier League appearances on Sunday. Theo Walcott reached 450 career appearances on Sunday too. Jurgen Klopp continued his unbeaten record in Merseyside derbies. Seven matches, five wins, two draws, four managers faced and one sprint onto the pitch! Has any team come back from two goals down on more occasions than Manchester United in the Premier League? Carl, Bury. MARTIN SAYS: After this weekend's comeback to draw with Southampton, the answer is no. They have come back from being two goals behind in a game to take a draw more often than any other team. Saturday's comeback from two goals down was the 23rd time they have done so and no other team has done that more in Premier League history. The comeback at St Mary's took them above Tottenham (22). Spurs were in front until a few weeks ago, but United have done it twice this season - against Newcastle and Southampton - to overtake them. No other team has come back from two goals down more than 20 times in the Premier League. Raheem Sterling is top of the goals and assists chart. Has a player ever finished top goalscorer and top assist maker at the end of the season? Jo, London. MARTIN SAYS: Raheem Sterling was joint top of the goalscoring charts after his eighth league goal against Bournemouth on Saturday, but has since been overtaken by Pierre-Emerick Aubameyang. The Manchester City forward is second in the assists chart with six, behind only Ryan Fraser of Bournemouth. Your question is still a good one and I can tell you that two players have finished the season with more goals than anyone else and more assists than anyone else. Andy Cole topped both charts in the 1993/94 season for Newcastle and Jimmy Floyd Hasselbaink for Chelsea in 1998/99 - although Hasselbaink did share the top goalscorer award with Michael Owen and Dwight Yorke (18) but was out on his own in the assist chart (13). Cole had an extraordinary season in front of goal under Kevin Keegan. He scored 34 league goals for Newcastle - a haul made even more remarkable by Cole not being the club's designated penalty taker. The striker also managed to provide 13 assists for his team-mates as Newcastle finished third in their first season after promotion from Division One. Since the start of last season only Mohamed Salah (52) has been directly involved in more Premier League goals than Sterling (43), who has scored 26 and racked up 17 assists. Has any team used fewer players than Wolves this season? And who has used the most? Harry, Birmingham. MARTIN SAYS: Although results have deteriorated in recent weeks, Wolves have certainly been the most consistent in terms of their team selection this season. Nuno Espírito Santo started the season by fielding an unchanged starting line-up for the first nine games and he's only tinkered slightly since then. In total, he has only used 17 players in the Premier League this season, which is a league low. Chelsea are the next lowest with 19, while Liverpool were on 19 until a certain Mr Origi came on during the Merseyside derby on Sunday. Mauricio Pochettino has spoken openly about utilising his squad at Tottenham and that can be seen in the table below as they - along with Huddersfield - have used the most players (24) this season. Pierre-Emerick Aubameyang just doesn't miss! Statistically, how many chances does he need per goal? Luke, Oxford. MARTIN SAYS: Aubameyang's double in Arsenal's 4-2 win over Tottenham catapulted the striker to the top of the Premier League goalscoring charts. His 10 goals have come from 31 shots, but amazingly his last 10 shots on target have all found the net. It's a perfect a 10. That means he is the first player to score with 10 consecutive shots on target in the Premier League since October 2007 when Blackburn striker Benni McCarthy achieved the same feat. Some wonderful accuracy from two Africans! Aubameyang is currently working at a 32 per cent strike in front of goal, which is higher than those of his rivals in the race for the Golden Boot. Sterling has scored with 26 per cent of his shots and has only missed the target four times from his 30 efforts on goal while Harry Kane, who has scored eight, is working at a 16 per cent strike rate. Sergio Aguero has also found the net eight times has a conversation rate of 14 per cent.